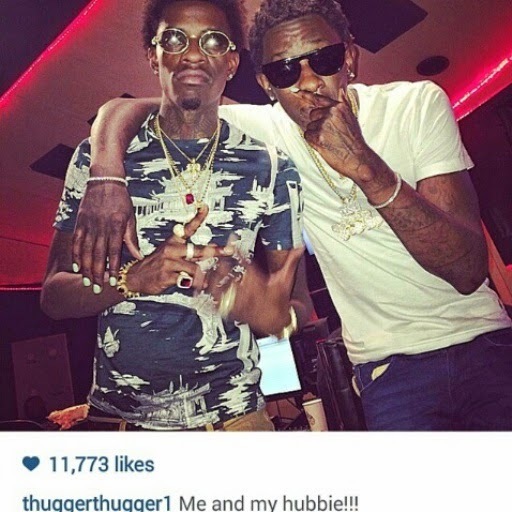 Okay, so if you haven't already seen the photo of Young Thug and Rich Homie Quan photo on Instagram and all the hip hop blogs, check it out here and what are your thoughts. Personally I'm so over the homophobic people out there. It is what it is and despite anything some African-Americans in particular males are acting so dramatic when it comes to finding out that their favorite hip hop artist, athlete or whom ever they look up to is gay. Women call women 'wifey' but other women do not go in an up roar about the woman being a big deal. RIP to Michael Brown, but if he were gay would African American men running around yelling out race feel the same way if he were gay? I'm just saying and also some of the most fashionable designers that African-American urban men love to rock are gay including Calvin Klein, Marc Jacobs, Tom Ford, Christian Dior, and that's just to name a few. I just don't get it.